On the centenary of the Armistice ending World War I, there are still lessons to be drawn by modern commanding officers from how their counterparts became a more effective and potent military force as the war progressed. 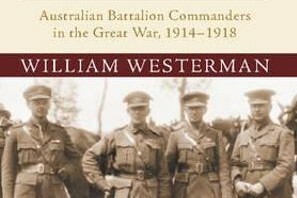 In this study of the commanding officers of Australian battalions during the First World War, Westerman sheds light on a group of officers who acted as important keystones in the army hierarchy by connecting soldiers in the trenches with those in higher command. The commanding officers have attracted little scholarly attention and Soldiers and Gentlemen convincingly demonstrates that they deserve to be privileged in historical scholarship. Westerman’s research follows the Australian battalions’ commanding officers from their role in training exercises in Egypt in 1914, their commands in the 1915 Gallipoli campaign, through to their contribution to warfare on the Western Front in 1916-1918. The overarching argument of the book is that through a combination of superior experience, training and an increase in meritocratic promotions, the body of commanding officers in 1918 were far more effective than their counterparts who left Australia in 1914. As such, the argument tends to be a historiographical “learning curve” whereby the British Army, within which Australian forces were integrated, after initial struggles and disasters, gradually became a more effective and potent military force as the war progressed. The author sets out to tell the story of these battalion commanders, to explore the exercise of command and to gauge how civilians could acquire the characteristics that are necessary for command. 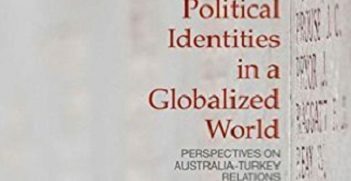 Westerman effectively achieves these goals by providing an account which explicitly addresses these themes in striking detail yet does so without military jargon or assuming prior knowledge on behalf of the reader. The concept of command is dissected into the three constituent parts: leadership, tactical competence and administrative ability. This is particularly effective as it provides a useful framework with which to explore the experience of the commanding officers and helps the reader understand a potentially ambiguous concept. The analysis itself draws heavily from personal accounts that concern or were written by individual commanders. These are skilfully intertwined with the wider contextual details of the war. Each chapter is split into multiple subsections which cover the minutiae of the commanding officers’ lives: their connections with other army personnel and the qualities that made an effective commander, among a range of topics. Westerman might, however, have dispersed this with correspondence between commanding officers and their loved ones at home. This would have added a new perspective on how commanding officers managed to cope with the horrors of the war and would have revealed the role of the oft-ignored female actors whose support would have been important to these men. From a historian’s perspective, the successes of the book are somewhat marred by the lack of discussion concerning the sources which are used and how they are utilised. In less than one paragraph, on page 7, Westerman skims through the sources upon which his analysis relies and, even then, does not introduce the full range of material which the book draws upon. There is also no discussion within the introduction, and very little throughout the body of the text, as to how different sources are analysed. The reader rarely has any idea whether Westerman has taken sources at face value or has carefully discerned which sources can feasibly be used as evidence and what material should be treated in a more circumspect manner. The use of evidence would be far more convincing if Westerman explained his approach to the evaluation of the sources. 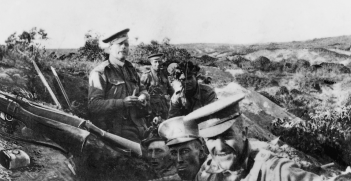 Historians studying the twentieth century are often blessed with a rich body of extant source material and Westerman himself notes that regarding the Australian experience in the war “there is a wealth of material to draw upon”. It is curious, then, that he is silent concerning his process of selection and omission of source material and that there is no discussion concerning why he privileges certain source types over others. Compounding this issue is that the representativeness of the source material is not explored. It would, for example, have been useful for the reader to understand how general conclusions can feasibly be made using single diary entries written within specific contexts. This lack of clarity concerning source engagement will no doubt trouble the book’s academic readership. 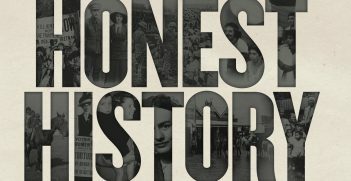 Soldiers and Gentlemen is part of the Australian Army History Series. Westerman states in his preface that the objectives of this series are to provide research suitable for both popular and academic audiences relating to the army’s operational experience and existence as an organisation, with an aim of contributing to the national narrative. This agenda helps explain the remarkably positive tone of Westerman’s account which, despite highlighting some instances of incompetence on behalf of certain officers, states that the commanding officers frequently succeeded in achieving effective command, particularly in the latter end of the war. The optimistic tone reaches its highest pitch in the final chapter named The Destiny of Empire, and even more so in the subsection named “Their Finest Hour”. Here, following the learning curve argument, Westermen celebrates the quality of the commanding officers by 1918 and argues that they helped “inflict significant defeats on the German army” which were “a factor in its retreat”. The narrative that these commanders, who were mainly Australian-born, played no small part in helping secure victory on the Western Front certainly contributes to Australian pride and the national narrative. It is possible that the author’s previous experience as a teacher in the Australian Command and Staff College encouraged him to write a positive account of the early 20th century battalion commanders to reinforce institutional identity among modern Australian army officers. More cautious readers are likely to question whether the use of evidence to construct a triumphant account of the commanding officers has resulted in the oversight of elements of their lived experience that do not fit this celebratory narrative. William Westerman, Soldiers and Gentlemen: Australian Battalion Commanders in the Great War, 1914-1918 (Cambridge: Cambridge University Press, 2017). Joshua Ravenhill is a former researcher at AIIA National Office. He is PhD scholar at the Centre for Medieval Studies and Department of History at the University of York. As we commemorate Anzac Day for another year, its national significance is reaffirmed. But we are so familiar with the accustomed ritual and rhetoric that it escapes critical scrutiny. And its sanctity places it outside the reach of sceptical inspection. Challenging orthodox views is not an easy matter and the contributors have done significant thinking and undertaken research to present new perspectives on Anzac.